AGBU Alexander Primary School - Blog: FROM THE GARDEN TO THE KITCHEN! FROM THE GARDEN TO THE KITCHEN! 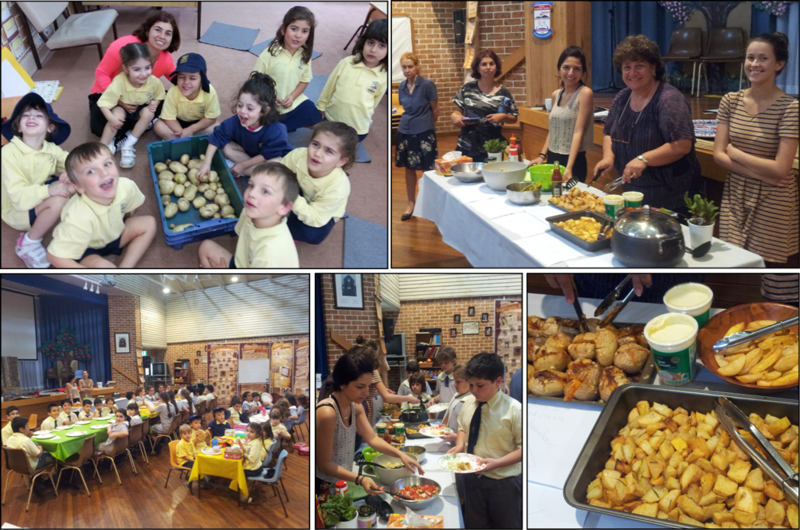 On Tuesday (22/10/13) the students were treated to a delicious lunch thanks to the Year 3/4 class and our vegetable garden! Last week, Prep and Kindergarten students had harvested all the potatoes that were planted in our vegetable garden. They had even learnt to sort and count them to see if we would have enough to make a meal for everyone. Thanks to the support of Ms Smith we ended up having a variety of potato salads, wedges, baked potatoes, stuffed potatoes and even mashed potatoes! It was great to see the children trying the different recipes and enjoying the meal with all their friends. Special thank you to all the families who supported the activity. The fresh potatoes were certainly given the thumbs up!